Great Smoky Mountains National Park protects one of the largest old growth forests in North America. This is also one of the rainiest places in the contiguous United States outside of the Pacific Northwest. The combination of elevation, old growth forests and huge amounts of rainfall make the smokies an amazingly rich biological habitat for thousands of species of plants and animals, including the densest black bear population east of the Mississipi. 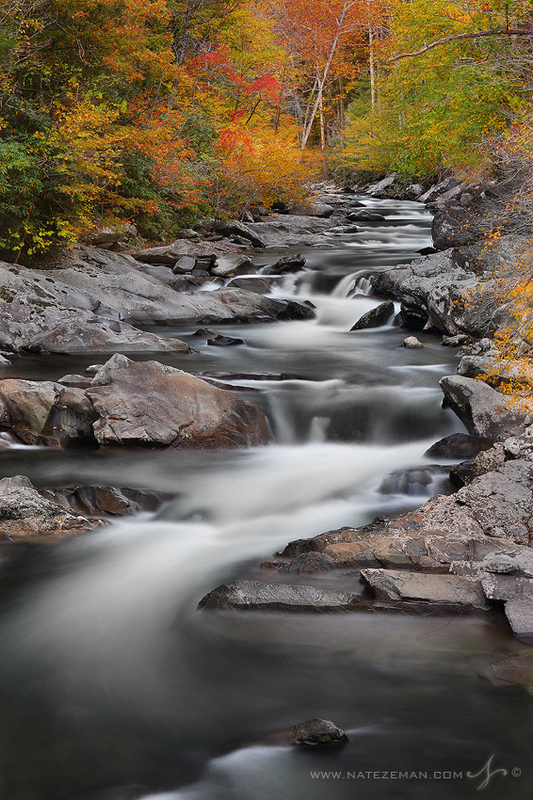 In fall the landscape of the Smokies transforms into an amazing tapestry of autumn colors.